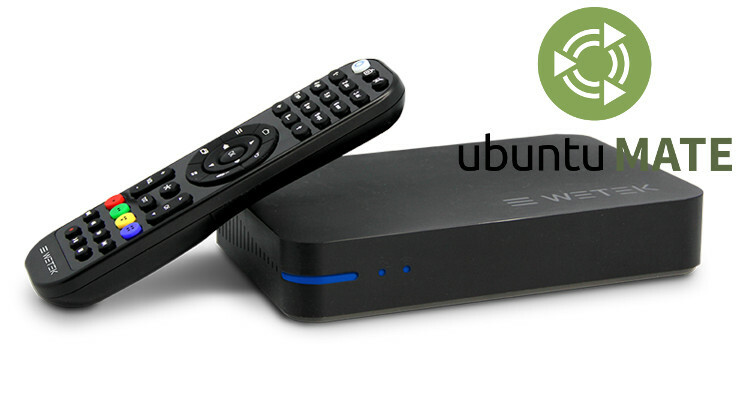 WeTek Play 2 is the latest TV box from WeTek with DVB or ATSC tuner, and powered by Amlogic S905-H processor. It ships with Android 5.1.1, but Ubuntu 16.04 Mate and Ubuntu 16.04 minimal firmware images have been released by the community. You can try Ubuntu 16.04 LTS Mate (with desktop environment) or the headless Ubuntu 16.04 LTS minimal image by uncompressing the images, and flashing them to a micro SD card with dd or Win32DiskImager. Two default credentials (username/password) are provided: wetek/wetek and root/wetek. This required the latest Play 2 Android firmware, so make sure you get the latest OTA update before trying Ubuntu. The Ubuntu 16.04 images should just boot from the SD card without replacing or affecting your Android installation. It’s unclear whether tuner support is part of the images at this stage. because I am new to all this I want to ask if this means that we can transform this box to dual boot ? Are this Ubuntu images safe for every day use? Yes to the first question, but I don’t know the status of the port. Better check in the forums. You’ll also need a fast micro SD card (with good random I/O performance) for optimal performance. I really appreciate the community support, which made Linux possible for these kind of devices, but spending 110$/110€ in a simple S905 soc is too much. For that price I can buy a complete Atom Z8300 quad-core computer with windows and linux.